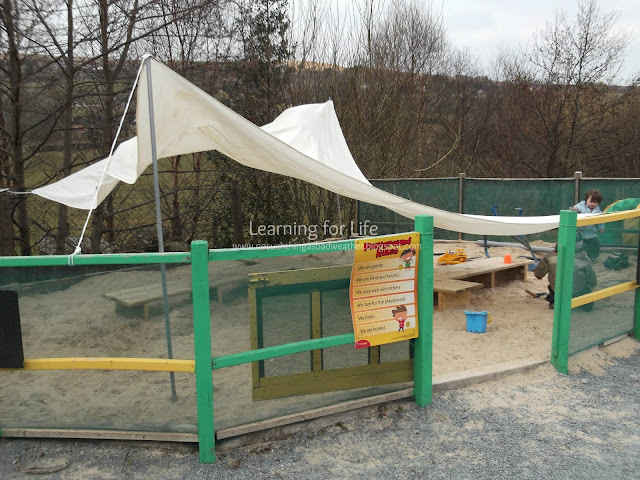 A large uncovered sand pit. 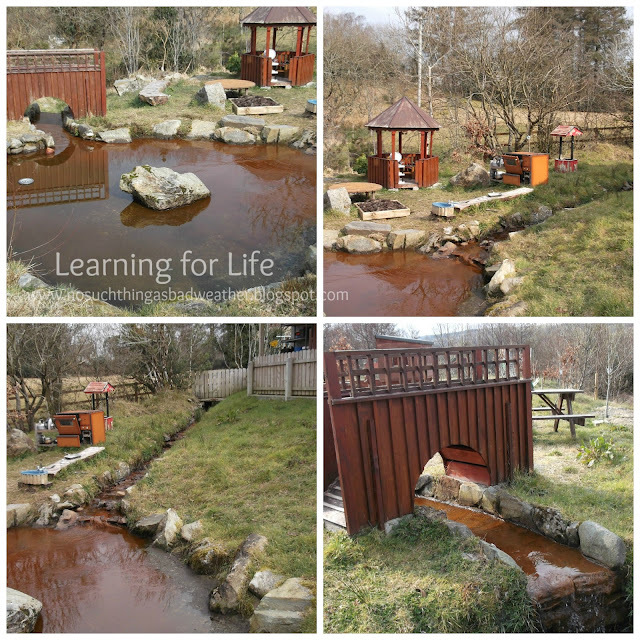 This week I was very lucky to get to spend a few hours at an outdoor preschool in Letterkenny, Co. Donegal. I had read about this place last year in a newspaper article & really wanted to get an opportunity to visit it as they are not so usual in Ireland & I would normally have had to go to Scotland or England in order to get this opportunity if not even further to Scandinavia! Through Twitter & a Teachmeet I attended in February I got talking to a teacher who was intending to send her child to the school & we agreed that we would stay in touch so we could arrange a visit for me & when I then mentioned it in school of course my colleague wanted to come along too. So we set off for one afternoon & even thought it was a journey of almost 2 hours it was well worth it. The system in the Republic of Ireland is different to ours in the North, so the Glen School is like a daycare come preschool. There are no nursery classes in the Republic with qualified teachers in them, by that I mean teachers who could teach in a primary school as well. From what I gathered the Glen school operates from 8-5 as a day care for babies up to 4 year olds, 5 days a week. But many of the older children attend for 3 hours per day as that is the time allocated for free preschool places by the Irish Government. Not all the children attend for 5 days or for the whole time. 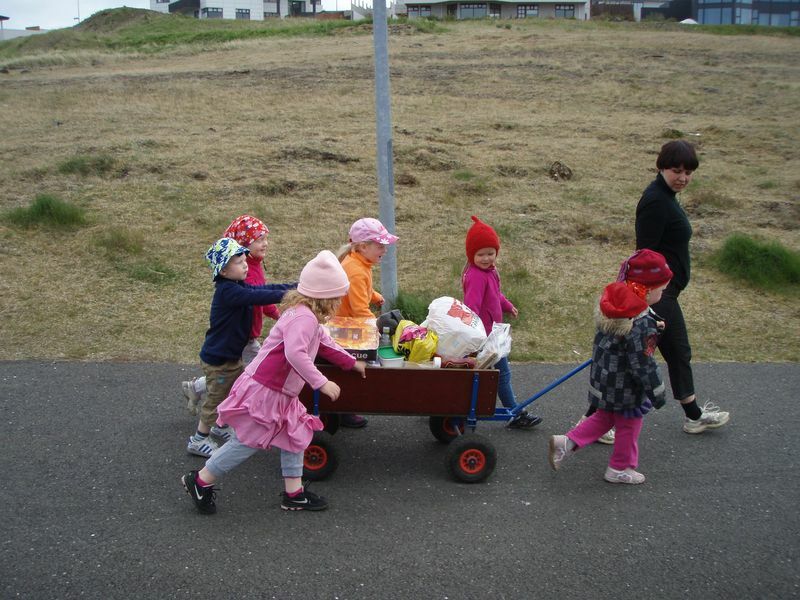 The school can have a maximum of 16 children with 2 adults or 3 if there are babies. The setting is in a fabulous, rural area just outside the town of Letterkenny. There is a building on the site that houses an area for the children to have a mid day meal or for the babies who aren't yet walking & therefore are a little too small to be outside. 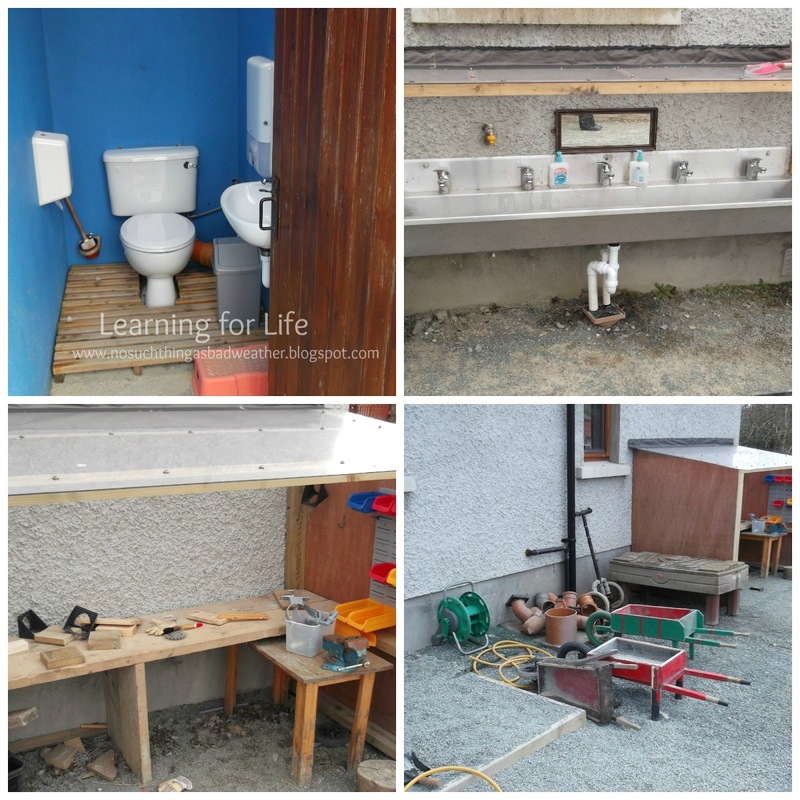 Then on the site there are also 2 outdoor toilets & an indoor area where the children take their mid morning snack, do art work or take refuge on days of extreme weather. Although Kathleen the staff member we spoke to, said it is quite rare for children to request to go into the room. As they have more preschoolers who are toilet trainned they found they had to install an outside sink are for handwashing to alleviate queues at the toilets! They have loose gravel all over the space, much like I had seen in Norway rather than safety surface, though there was some around the climbing frame. 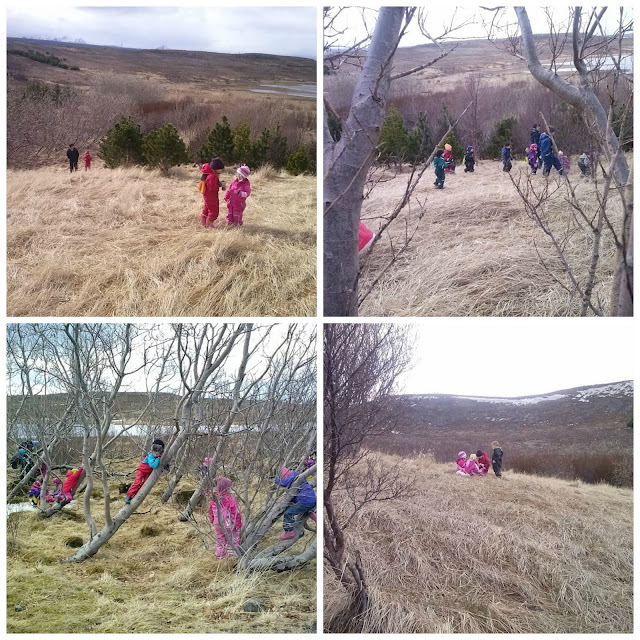 There were lots of little areas for children to explore e.g. places with lots of loose gravel for pouring into drain pipes, small stones beside weighing scales & mirrors down at a low level for mat play. They had a work bench under a perspex cover so it is available in all weathers. 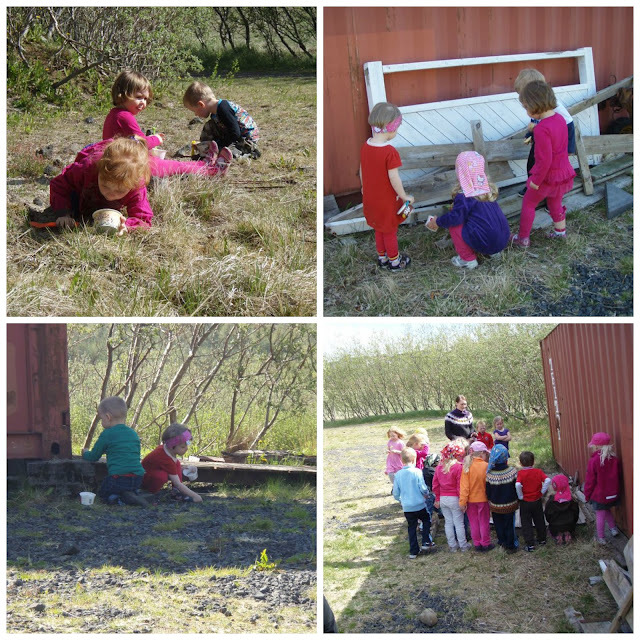 There are big tractor tyres for the children to climb inside or over, depending on their age, size or skill level. The natural stream has been landscaped into a large pond with big stones in it & we saw photos of children sitting on the biggest stone fishing. 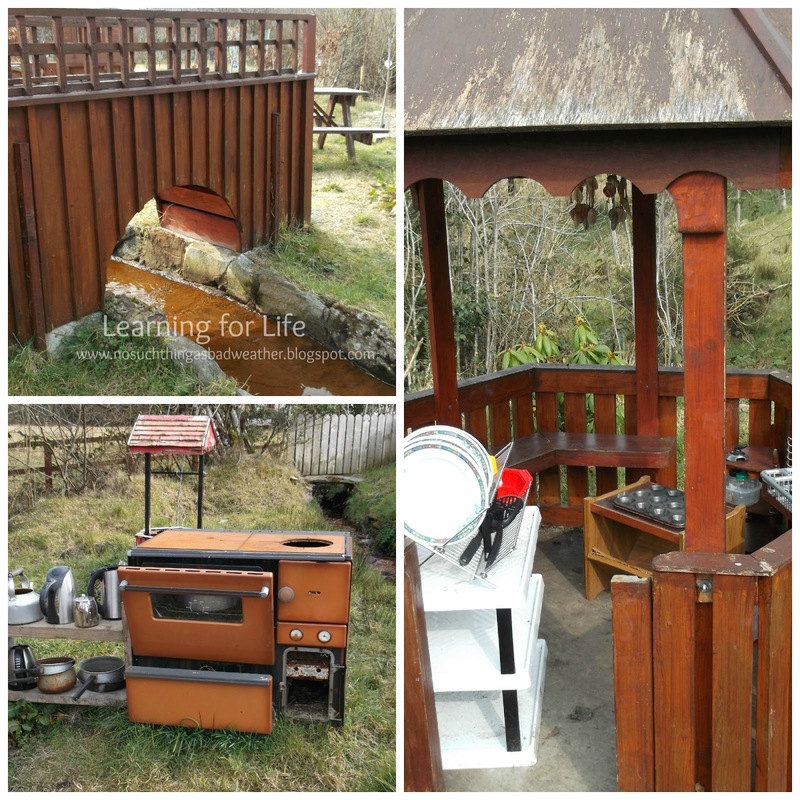 There is a very steep bridge over the stream into a mud pie kitchen area, in 2 areas, out in the open with a big range cooker & then another in a pergola, again offering shelter in wetter weather. When we were there there were just two 2 year olds & a 7 month old baby & would have loved to have seen it in full flow with the 16 children ranging in age from 7 months to 4. 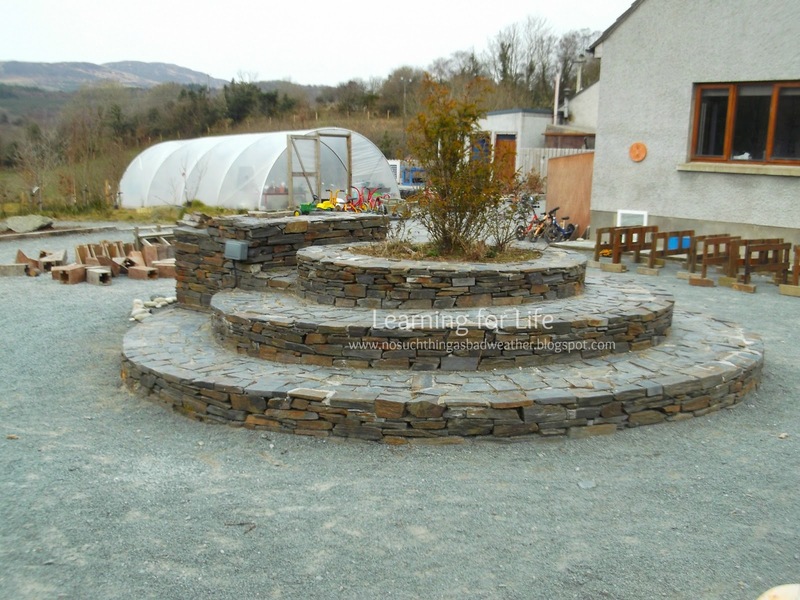 Most of all I wish it was nearer so I could take my class on a visit, they would love it! 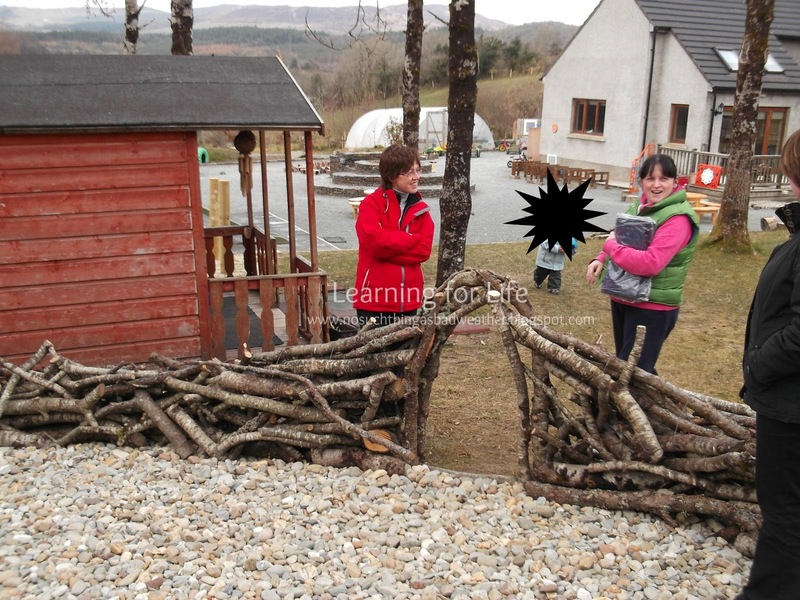 A big thanks go the staff at Glen Outdoor School, Glenswilly, Co. Donegal & to Susan for the introduction. After giving a short presentation on my blog to colleagues I asked if there were any questions & was asked 'Why do you blog?'. At the time I was a little taken aback by the question as I was expecting more of the 'what do you gain from blogging' etc. type questions. But I have thought about that question for a while now, I mean what made me take the first step towards blogging, what made me think anyone would want to hear/read what I have to say & why am I still blogging over 2 years later? I suppose firstly I like talk about what I do, I'm passionate about being a nursery teacher & advocating for the young children in my care who are the youngest in the school system in Europe. I followed 3 blogs in particular before starting my own; I'm A Teacher Get Me Out Of Here, Let the Children Play & Irresistible Ideas for Play Based Learning. I read every post from these blogs & in particular think I was inspired by the fact that they were all 'just' teachers like me. I have always enjoyed writing but had been disillusioned when doing further studies when I couldn't make any original statements - everything had to be backed up with at least 2 other expert opinions, this part frustrated me! 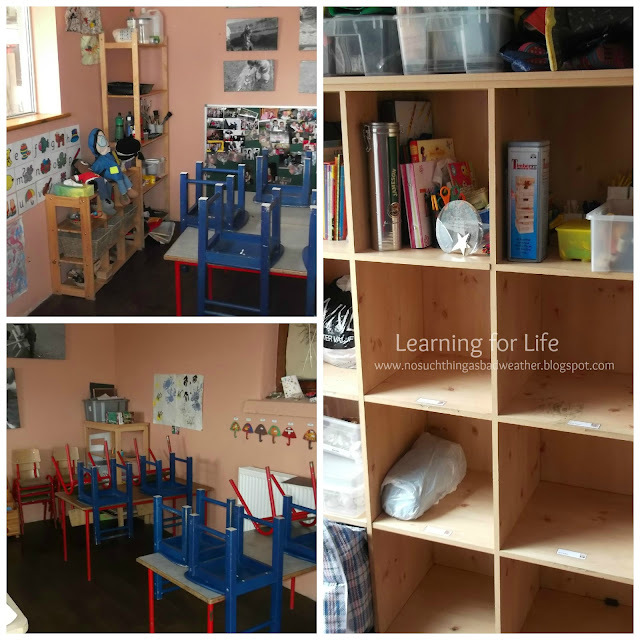 So blogging for me offered an opportunity for me to talk about what I have learned while teaching & to share what I get up to with my class & why. However, over 170 posts later I realise that blogging is in fact the best Continued Professional Development (CPD) a teacher can ever engage in, it made me a much more reflective practitioner & I am able to share & exchange ideas with others around the world. When I first started teaching in 2000, we still had Early Years officers within the education board who organised cluster meetings on a monthly basis for all nursery teachers in my area to get together & share ideas on planning, observations, outdoor learning etc. This has all stopped now & there are very few courses on offer anymore either. 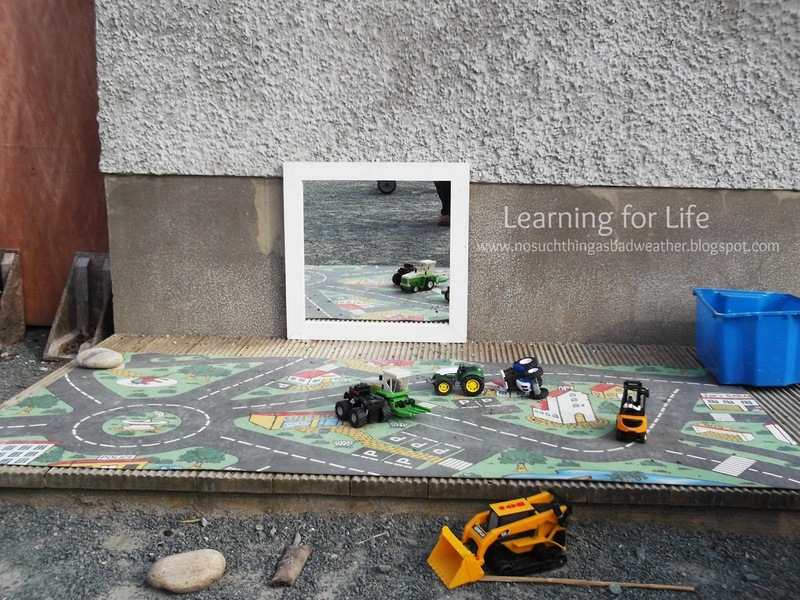 I work in a single entry school which means I have no direct teaching colleague so the blog has allowed me to 'meet' other preschool teachers & ask their advice as I would if I had a colleague on site. 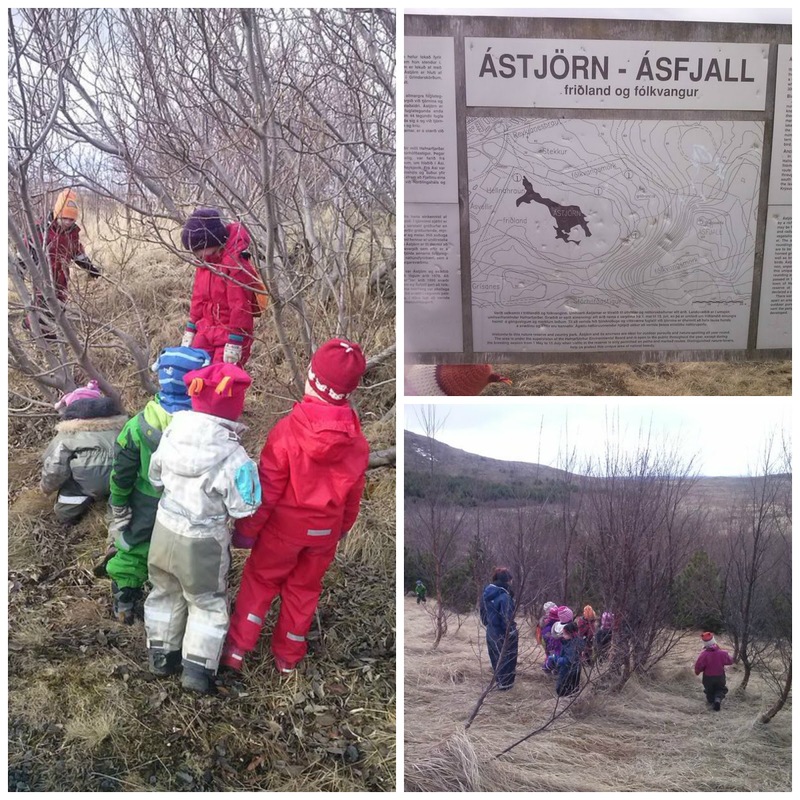 The blog allows me to see how my teaching has evolved as I look over photos from 6 or 7 years ago & I can reflect on why a certain activity worked with one class & not another. 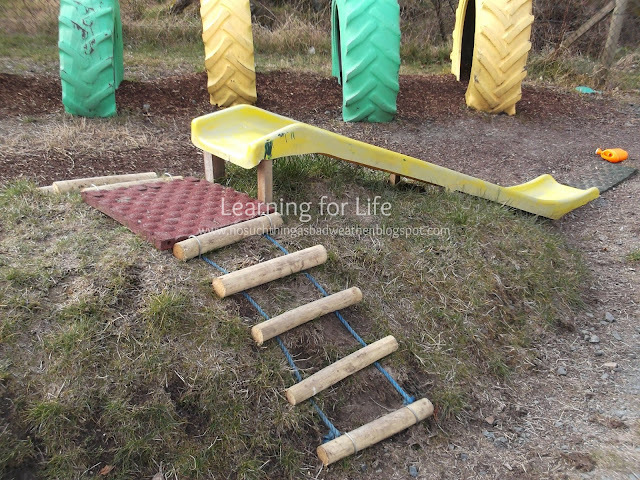 It allows me to 'track' my outdoor learning journey & share with others how I got to this approach. 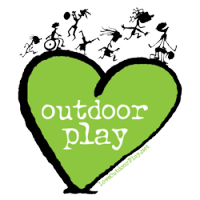 The blog has been invaluable for informing parents of what we do at Windmill & especially to illustrate our outdoor play approach. 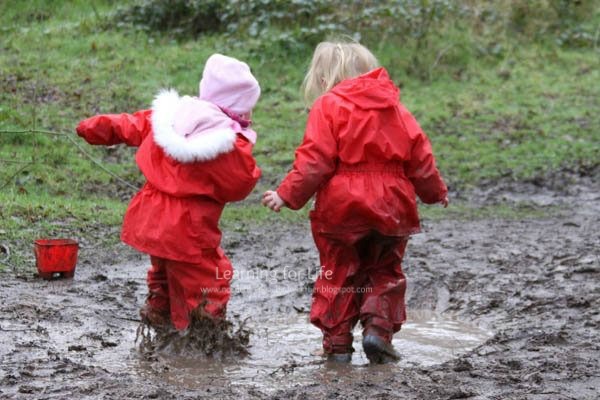 It means I don't have to keep justifying why we go outside in all weathers, why we go to the forest or why we engage in risky play. I am also always suprised that people actually do read the posts & am always a little 'tickled' when a parent mentions something I had written about etc. So if any teachers out there considering starting a blog I'd say go for it, even if you just blog once a month, it will become a fantastic CPD tool. A Snapshot from an Icelandic Kindergarten. 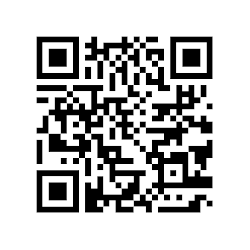 My school is hoping to be successful in an application for a new 2 year Comenius Project, funded by the British Council. We hope to be working with schools from Poland, Greece, Norway, Sweden & Iceland & will hear in early July if we have been approved or not. If we are I will have the opportunity to visit each of the schools & host a visit to our school in November. I have enjoyed following the Icelandic partners facebook page & have shared some photos from time to time on my page, so I was delighted when Unnur, my Icelandic colleague, agreed to send me a series of photos of her class out & about in the natural area opposite the school. You can learn more about the school on their website. 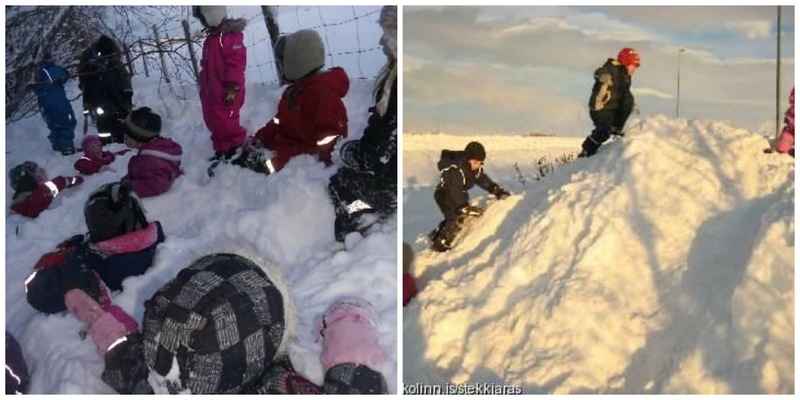 The school is called Leikskólinn Stekkjarás in the town of Hafnarfjörður which is 15 minutes from Reykjavík. There are about 180 pupils & 52 staff. They go outside everyday but spend this time in the school grounds but once a week the go outdoors away from the school for 2-3 hours in the colder months & 3-4 hours in the summer when they eat their lunch outside. They bring everything out with them on a big trolley. Unnur tells me they do sometimes take resources out with them, lego, blocks, paint brushes or small world animals but more often than not they just go to 'be' in the natural environment & allow the children to make their own resources from what they find naturally. There is a little 'nest' area, called a KRAKKALEITI where the children come together at the end of the session to talk about what they have done. This is a truly natural site, no fences or marked off areas. It reminds me so much of the kind of practice I saw in Norway, the children are encouraged to roam freely & to amuse themselves without much adult interference. 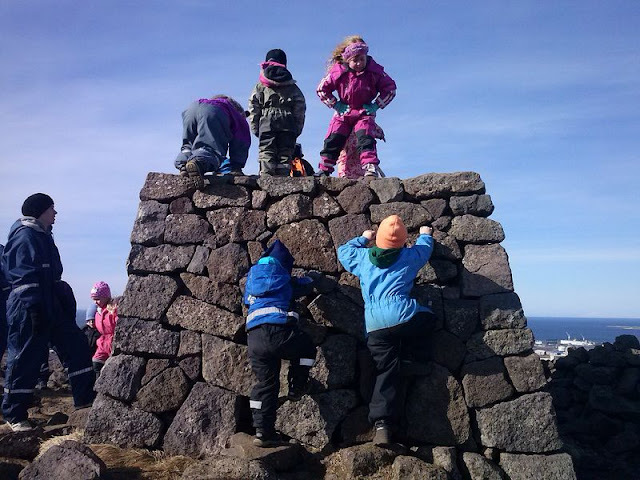 This was the main thing I took away from my week spent in Norway, I learned to step back & allow the children to engage in play without my direct input. However I am also very realistic & know that we can't lift systems from other countries & just expect them to work in our own. 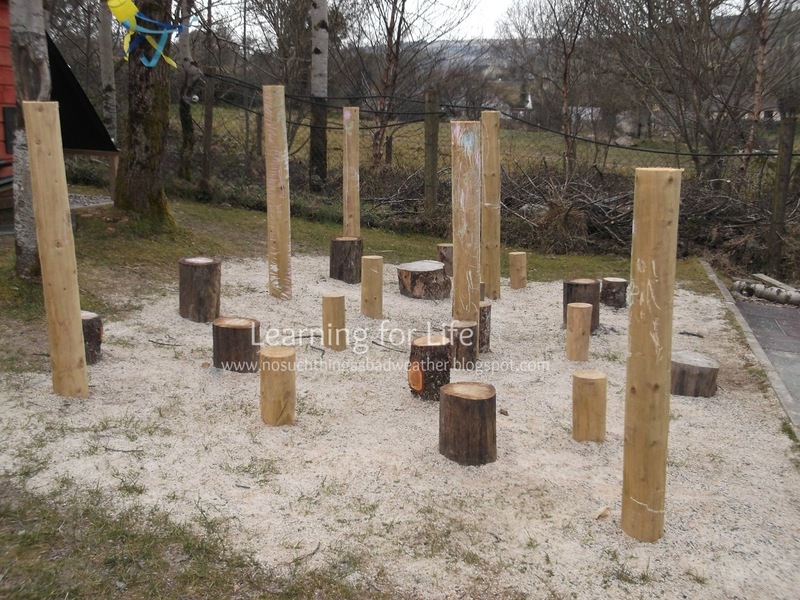 I have come to accept that any woodland/forest experience offered in my area will be a little more manufactured, However I hope when the wooded area planted earlier this year on the main school grounds develops we will be able to offer a more 'organic' outdoor experience. 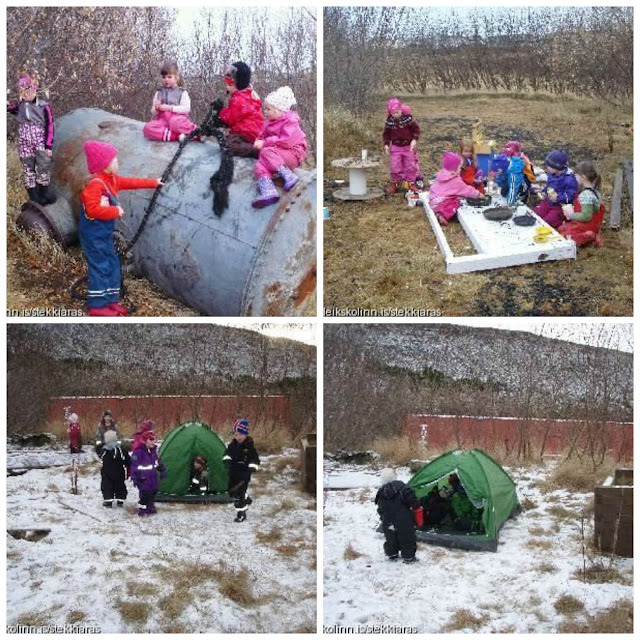 The children like to gather in this tent in the winter. 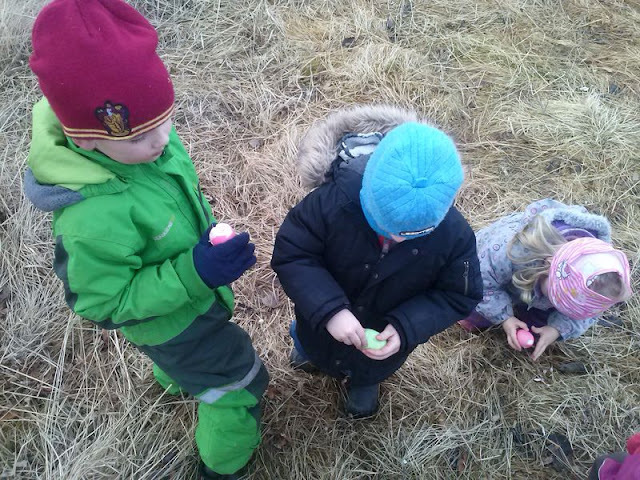 I loved seeing photos of the children rolling their eggs down the hill - I had thought this was peculiar to Northern Ireland. 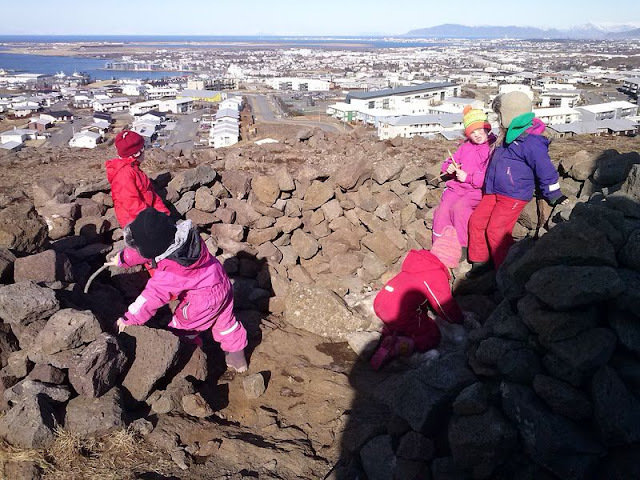 Some of the photos show the breath taking scenery of Iceland & it's wonderful to see the children climbing on & scrabbling around rocks. 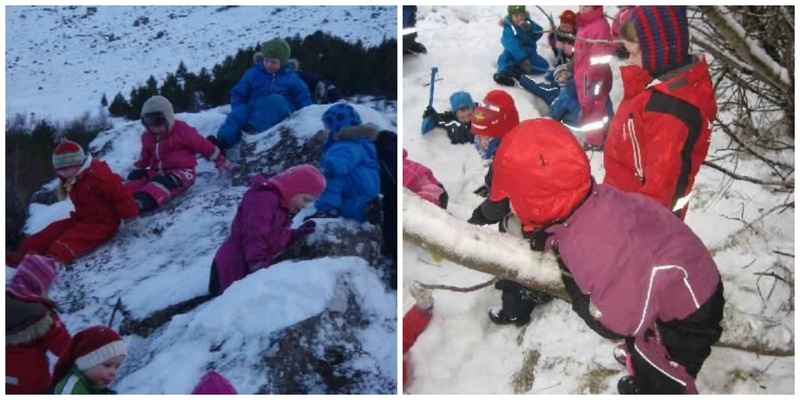 As you can see from the photos they go outside no matter what the weather & I loved to see photos of the children climbing trees & on rocks in the snow too. 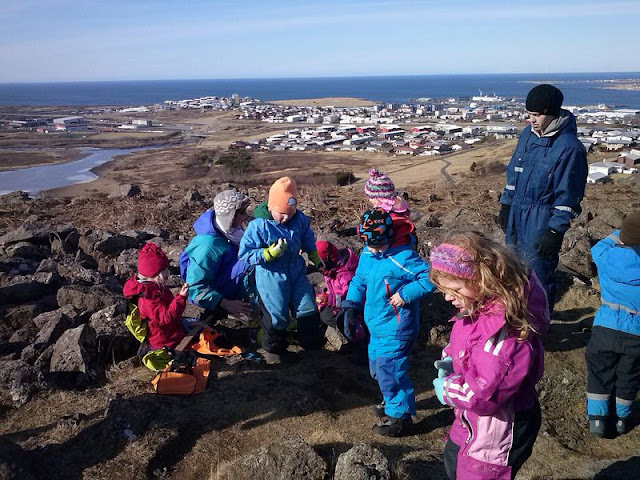 I really, really hope I get the opportunity to visit this wonderful school & that our project is approved so I can learn so much more & introduce a little bit of Iceland to my practice.